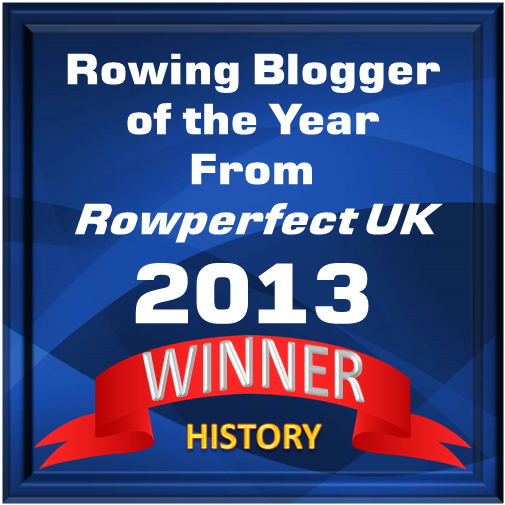 Union Boat Club, closes to the camera, meeting Harvard for a celebratory row at Henley Royal Regatta this summer. HTBS just received an e-mail from American 1956 Olympian cox, Bill Becklean (whom we wrote about on 18 June). 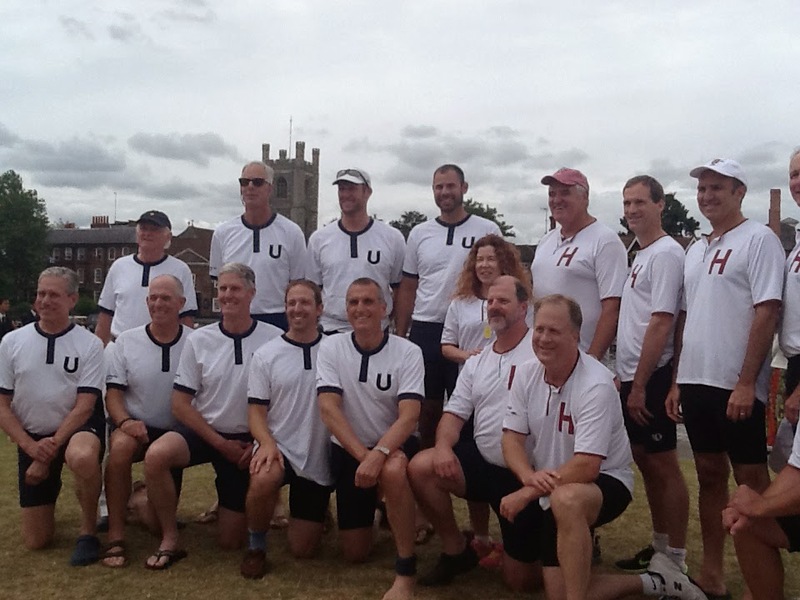 Bill went to Henley Regatta this summer to, among other things, cox in a ‘reenactment race’ to celebrate the 1914 Grand Challenge Cup race between the American crews Harvard JV and Union Boat Club, of Boston. A race that Harvard famously won. 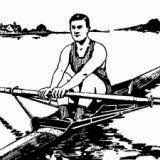 ‘Both organizations showed up with veterans to row over the course during the lunch intermission on the day of the finals. Both crews much enjoyed the demo,’ Bill writes. The UBC crew, back row: Bill Becklean, Charlie Clapp, Sam Batchelor and Derek Silver; front row: Val Hollingsworth, Mike Corr, Rob Wettech, Alecs Zoluls and Josi Shamir. (Sorry, no information on the names in the Harvard crew more than Devin Mahoney, cox. 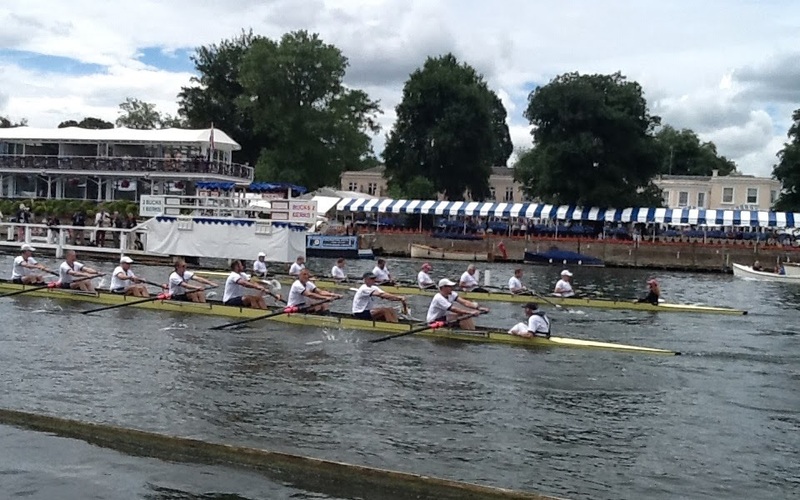 Update 3 August: On the River and Rowing Museum's new blog Home Front Henley, on 5 July, there is a contemporary account of the race between Union BC and Harvard - read it here. See also the blog on 30 June, here.